Onstage Ayala Center, Cebu City. Admission is free on a first-come-first-served basis. All movies are with English subtitles. Contact the Arts Council office at 233-0452 or email artscouncilcebu@yahoo.com for further details and invitations to Cine Europa 13 at Ayala Center Cebu. 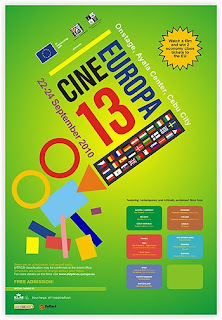 Cine Europa 13 opened in Manila on September 9 (runs until 19) at the Shangri-la Plaza Mall and will be held in Cagayan de Oro on 1-3 October at the Liceo de Cagayan University.